Notes: HE WAS BORN AND RESIDED IN SHEFFIELD AND FORMERLY SERVED IN THE SHERWOOD FORESTERS. 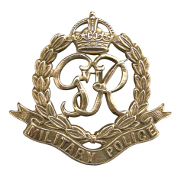 17/1/44 TWO NCO's (L/CPL's MATTHEWS AND WOODHOUSE) FROM ONE SECTION 10 CORPS PRO COY(115 PRO COY) ATTACHED TO THIS UNIT (56 LONDON DIV PRO COY) KILLED BY SHELLFIRE WHILST ON TCP DUTY. CPL SMALLEY W BADLY WOUNDED IN LEFT ARM BY SHRAPNEL. 56 DIV PRO COY WAR DIARY WO170/3551. ALSO 17/1/44 R GARIGLIANO. HEAVY MOVEMENT OF VEHICLES TO FORWARD POSITIONS. ROAD UNDER HEAVY SHELLING. ENEMY SHELL EXPLODED AT TCP, CASUALTIES CAUSED 4449767 L/CPL R MATTHEWS AND 4984624 L/CPL WOODHOUSE KILLED.112 PRO COY WAR DIARY WO170/3551. 115 WAS PRO COY FOR 10 CORPS. 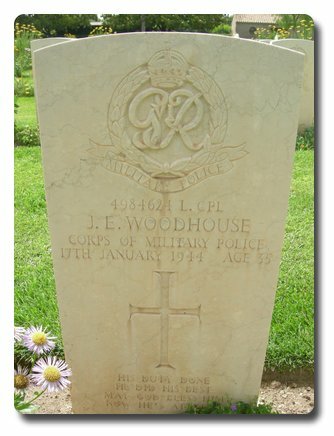 INSCRIPTION ON GRAVESTONE: HIS DUTY DONE, HE DID HIS BEST, MAY GOD BLESS HIM NOW HE'S AT REST.